Get this yellow curve business card template for free. 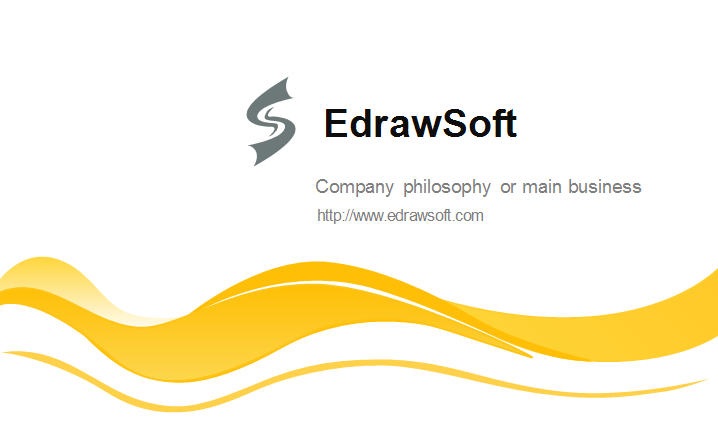 It's provided by Edraw and available in editable format. Use it to make awesome business cards. Start your business card design now with our free business card template. This yellow curves business card can be adapted by many people. You can easily change the font, color, and layout and make the business card tailored to your needs. 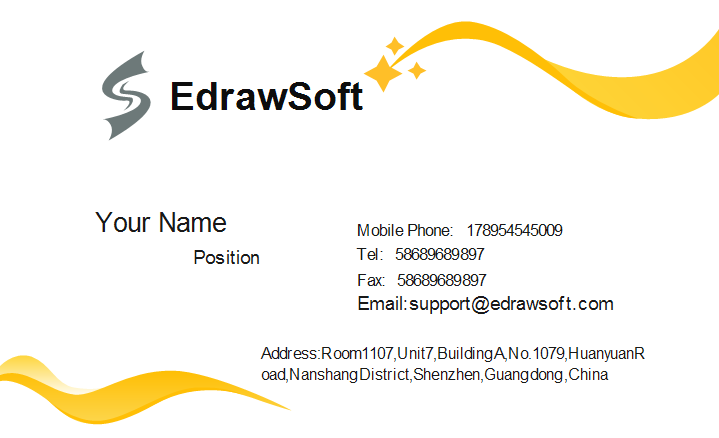 Discover why Edraw is an excellent program to create yellow curve business card. Try Card Maker FREE.